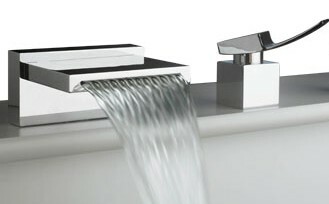 Inspired by nature, these waterfall faucets allow water to cascading from a wide or open spout. Very trendy, they can be modern or traditional in style. 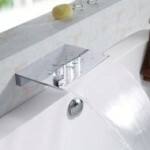 Find a waterfall faucet for the sink, tub or even the shower. Use the following quick links to go the the faucet style desired or scroll down the page.